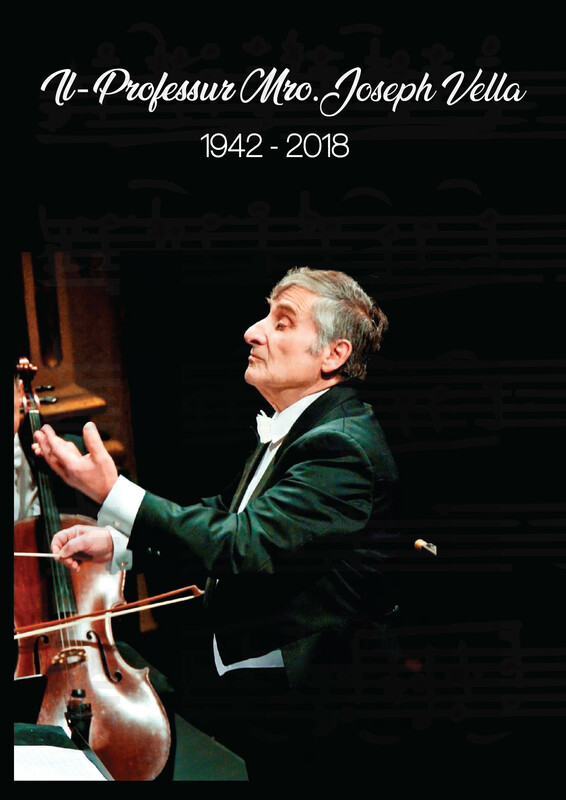 Maestro Joseph Vella passed away on the 25th February 2018. 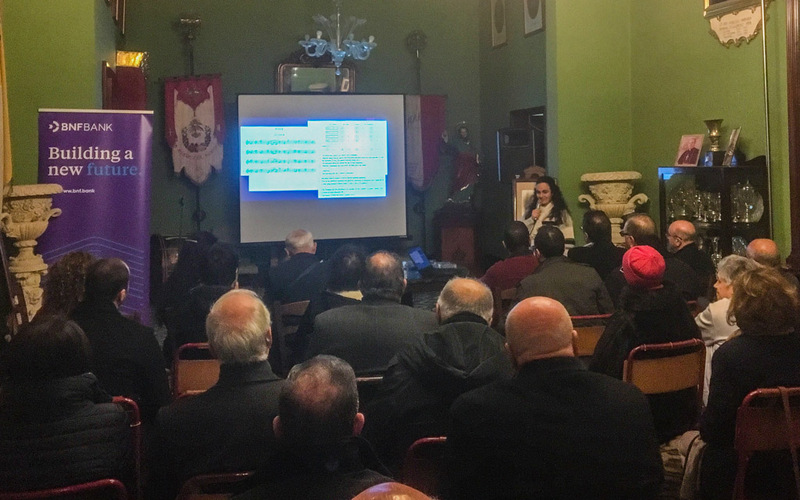 His family is pleased to collaborate with the Ministry for Gozo, Fondazzjoni Paulus and the Socjeta’ San Pawl Banda Konti Ruggieru in the organisation of these commemorative events in his honour. Updates will follow in the coming days. 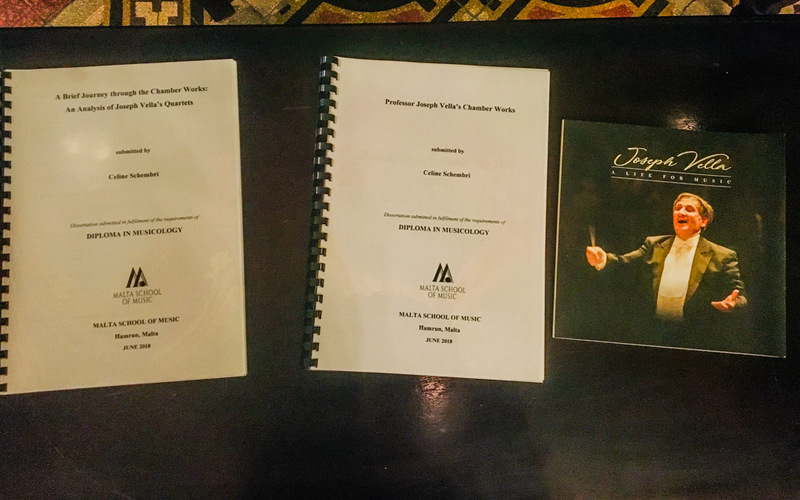 As part of the Rabat Agape Festival 2019, Dr. Lydia Buttigieg and Celine Schembri will be participating in a public lecture focusing on the life and chamber works of Mro. 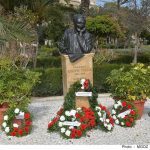 Joseph Vella. 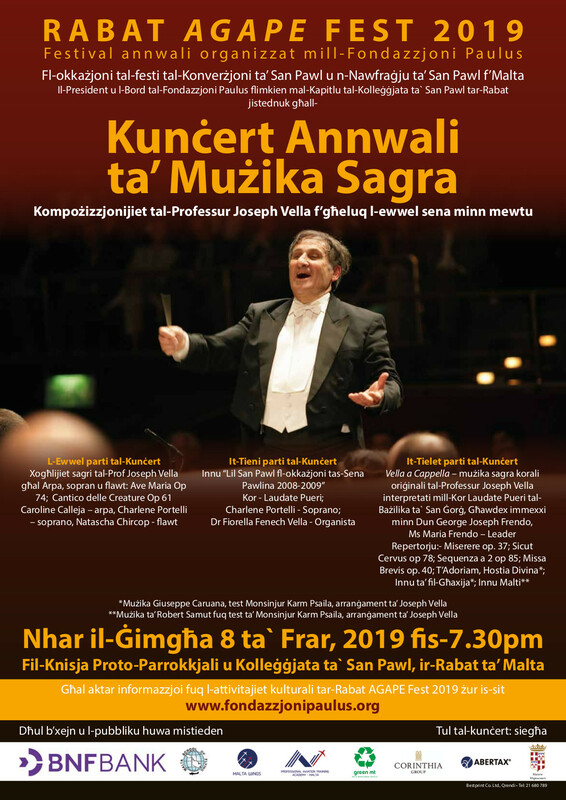 Yet another event forming part of the Rabat Agape Festival 2019, Fondazzjoni Paulus will be presenting a concert of sacred music in honour of Mro. Joseph Vella. The first part of the concert will feature the recital of Ave Maria (Op.74) and Il Cantico Delle Creature (Op.61). The third part of the concert will feature a selection from Vella’s ‘a cappella’ repertioire, namely Miserere (Op.37), Sicut Cervus (Op.78), Sequenza a Due (Op.85), Missa Brevis (Op.40) amongst others. 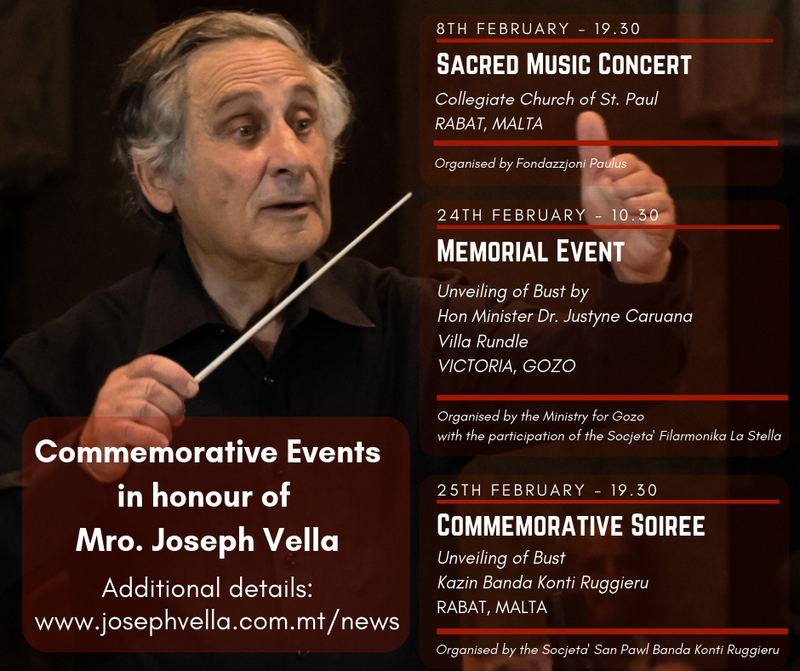 A commemorative event in honour of my late father Maestro Joseph Vella is being organised by the Ministry for Gozo on the 24th February at Villa Rundle, Victoria Gozo (10.30 am). My sincere gratitude, on behalf of the Vella family, goes to Minister Justyne Caruana for this kind initiative. 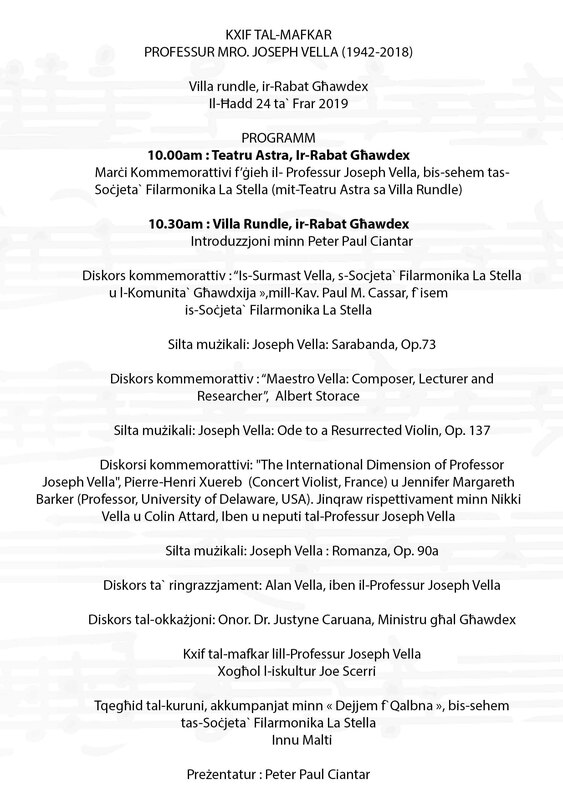 The event will be preceded by the playing of band marches in honour of Maestro Vella (from Teatru Astra to Villa Rundle) at 10.00am. 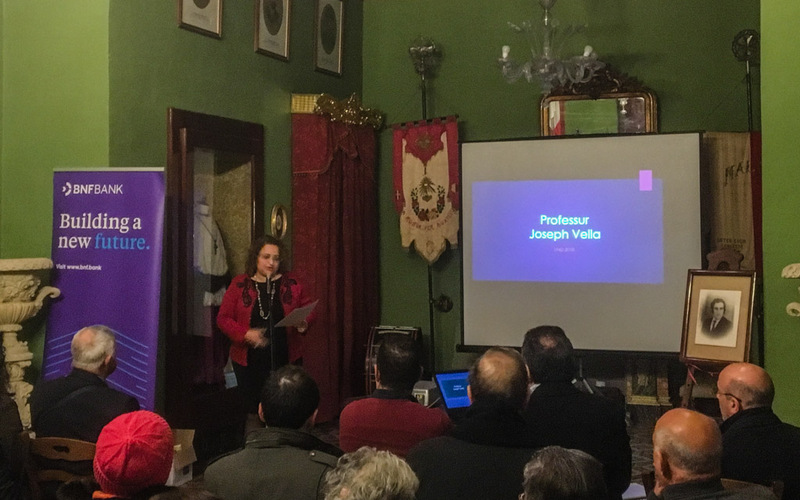 The Vella family would like to thank the Soċjetà Filarmonika La Stella, besides all other speakers and musicians, for their kind participation. Follow this link for the full event’s program. 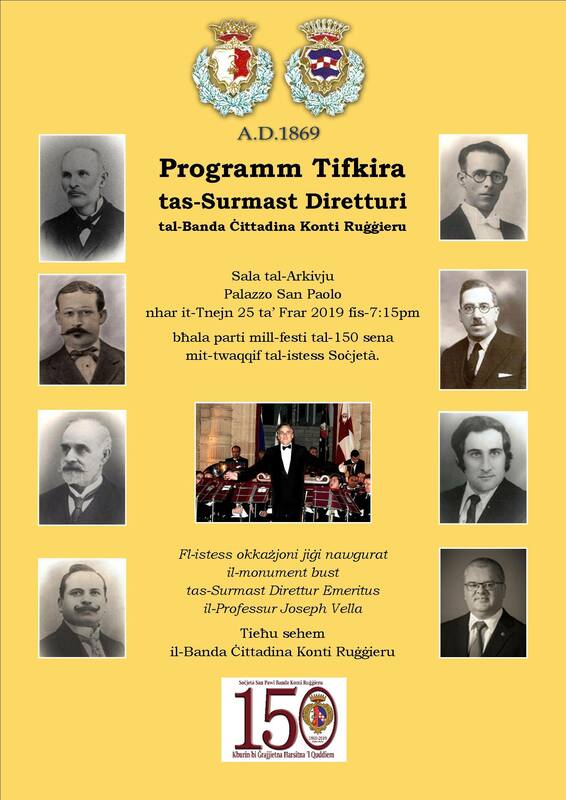 A commemorative soiree celebrating its musical directors is being organised by the Socjeta’ San Pawl Banda Konti Ruggieru, Rabat Malta, as part of the 150th year celebration of the founding of the same society. Mro. Joseph Vella was appointed as the musical director of the band club in 1976 , a position he held for more than 40 years. A bust of Mro. Vella will be inaugurated at this event. For more details please follow this link, or contact the Socjeta’ San Pawl Banda Konti Ruggieru.